I noticed that the number of my posts on LT has reached the production number of our Europa. So why not a tribute post to her? 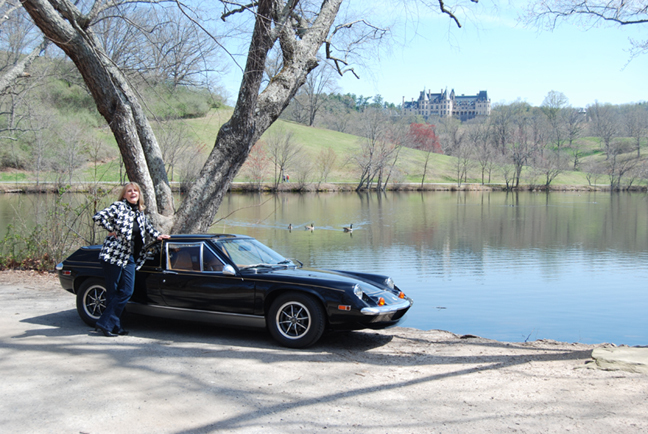 I fell in love with the Europa as a 16 year old in 1972, when Emerson Fittipaldi won the F1 championship in a Lotus 72. Ahh the JPS, the black and gold! So I cut out and saved Lotus ads and articles in Car and Driver and such for years. Sat in my dorm room and read them over and over. Someday…. Approaching my 55th birthday I logged in to LT and saw 3841R for sale. Without getting out of my chair I reached for my phone, called, and got the deal in motion. 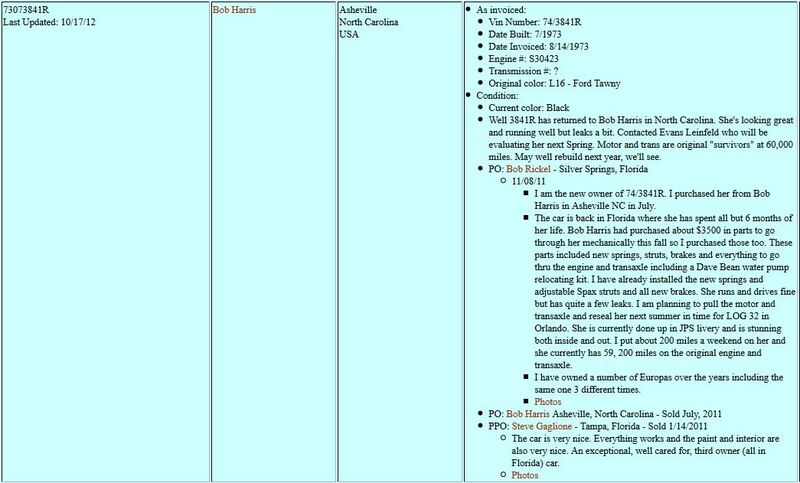 A few days later, on my 55th birthday, I made the 11 hour trip to Tampa Florida with trailer. Turns out the then owner, Steve, had taken her into his garage on his 50th birthday. We sat in the floor in his office and saw that we had saved those same ads and articles, had made sketches, and dreamed of someday. His wife had aptly named her “Black Beauty”. We loaded her up and she became my responsibility through the next part of her voyage. After only a year I saw two Evora on the road the same day. An obvious sign. I put Black Beauty up for sale. She was soon spoken for again. So difficult to part. I sat on a box in the garage and read out loud some of those old reviews I had saved. It really did give me some closure. But I asked the new owner for first refusal. Less than a year later he called me, his situation had changed, and he offered her back. Within a couple weeks she was in our garage again, and rests there even now. She left Hethel over 40 years ago. I hope to see her to 50. A Special life experience for us both. Last edited by XHILR8N! ; 10-08-2013 at 04:52 PM. 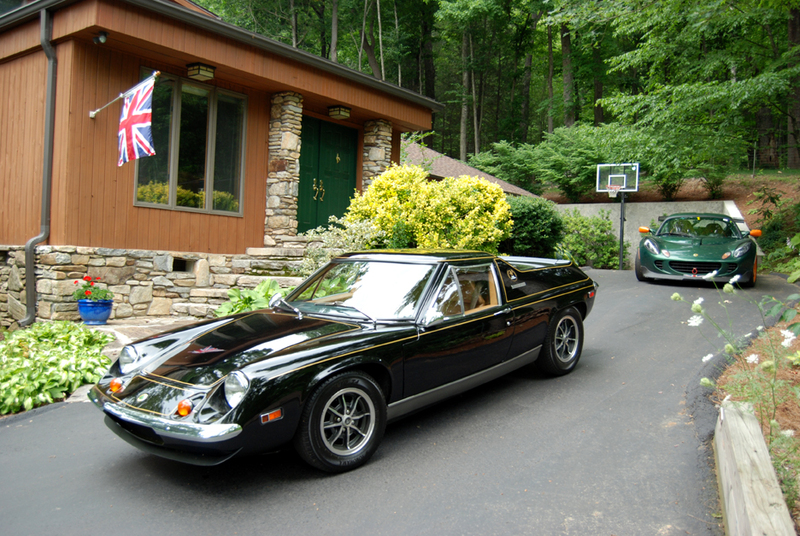 Here is a link to the Lotus Europa Twin Cam Special Registry registry. She's a beaut! Mine was built about 340 units later. BUT, before you start it again, PLEASE replace the plastic 'Tee' in the fuel lines between the carbs with a metal one, else you may find her melted to the ground one day! I drool every time I see these photos. 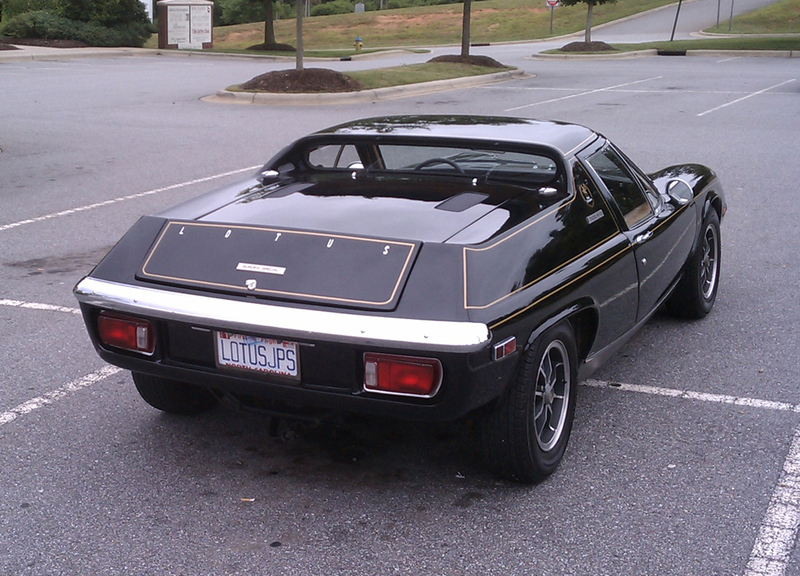 I too own a Lotus black & gold today because of those days in 1972 following Emerson Fittipaldi in the JPS F1's, but I also realize I will not be satisfied until a Europa JPS sits in my garage. don't put it up for sale again! Europas have grown on me because - let's face it - the are so weird looking on. It's like one of those girls you see that is both very ugly and very pretty at the same time. 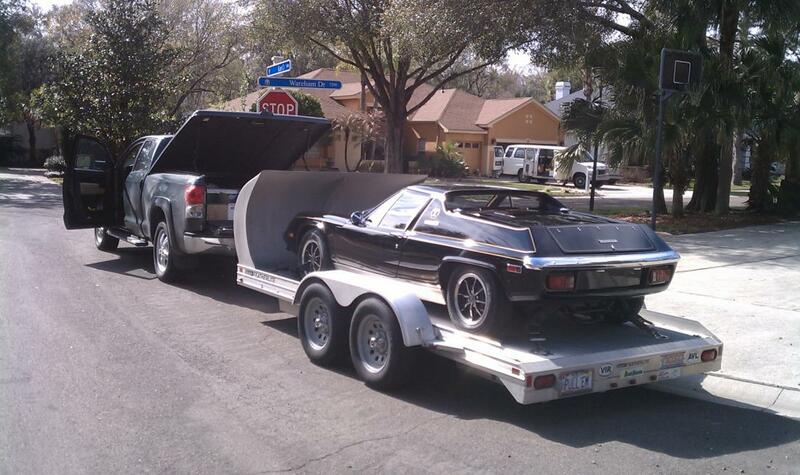 Even the description - umm, it's the front end of a E Type looking thing and the rear of a covered El Camino. But it looks so cool in the flesh and is soooooo low to the ground. And yes, never sell it! Thanks LFS, but that connects some vacumn lines, they come off the air filters. The one on the top looks disconnected in the picture, taken per PO. Wonderful story and great car Bob. I'll admit I've never been a fan of them but I've never heard them spoken with as much passion. And realizing that your car was built 44 days before I was born I suppose there a reason I've never understood them. At the time what were they, highway GT cruisers or track monsters? Exige or Evora? I will say even when I don't "get" an older car I certainly appreciate the amount of work that's gone into a restoration like this. Sure wish I would have gotten a change to see it when I met your other baby. Do you have a thread with many more pictures? This has to be one of the coolest posts I have read in a very long time! Gorgeous car! The "restoration" was done in 1984. 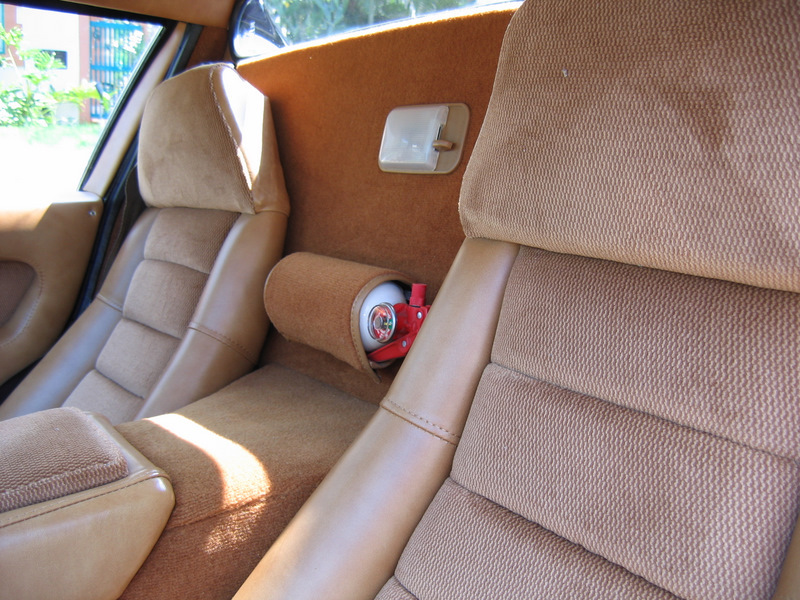 The second owner repainted and redid the interior in much higher quality materials. Motor and trans are original. Can barely find any checks or cracks in paint, only a couple small spiders near windscreen wipers. Sits by the behemoth Evora at over twice the weight. Her midengined descendant. Ross I'm not sure how to categorize her. More refined than a Seven of course, but advanced compared to an Elite or Elan. Individualistic. Modern. With hand on shifter, you need move it maybe 4 inches to work lights, windows, heat and fans, and radio. Knowing she was built where they made the very best race cars the world had ever seen is Special too. Will be at Log 34. There are better examples I guess, but not many. Last edited by XHILR8N! ; 10-09-2013 at 12:46 PM. This photo is STILL one of my absolute favorite! She's a beauty - and with an interesting story! Originally, there were also plastic fuel lines from tanks to carbs and a plastic "T" that joined the tanks; if you haven't already, replace them! I'd recommend steel brake lines, a steel "T"(RD) and proper fuel lines to join them. 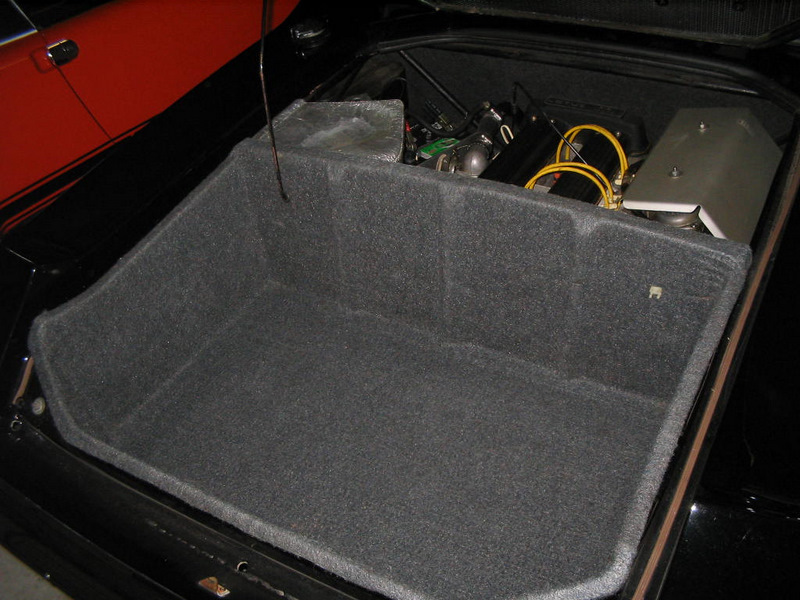 Years ago, I did a tech article for Lotus Ltd on how to do it. I've seen the damage a fire can do -- I have a parts "donor" car that lit the entire top was destroyed(may still have pics on eBay). Don't let that happen to your beautiful Europa! Yes I sure look forward to seeing a new restoration (that looks to be a nice one!). NICE ! I owned 3614 R for a long time....she went to Japan.